Materials in the Nancy Boyd Leidenfrost Papers date from 1965-2003. Work conducted over the course of Leidenfrost’s career with the United States Department of Agriculture (USDA) from 1969-1995 is represented in these papers. During her time with USDA, she served as National Program Leader of the Expanded Food and Nutritional Education Program (EFNEP), and then as National Program Leader for the Hunger and Undernutrition Program, Extension Service. Comprised primarily of publications and correspondence, this collection provides insight into the adoption by USDA and land-grant universities of new approaches to eradicating hunger and food insecurity. Leidenfrost donated the materials to the National Agricultural Library in 2004. Steve Ammidown, College of Information Studies, University of Maryland, transferred the collection contents to acid-free folders and ten archival boxes for long-term storage. Note: Extended autobiographical and biographical sketches of Nancy Boyd Leidenfrost are available in Box 1, Folder 15. Nancy Boyd Leidenfrost began her career in Extension Service work after her graduation from Shepherd College in 1956, when she took a position with the West Virginia University Extension Service. 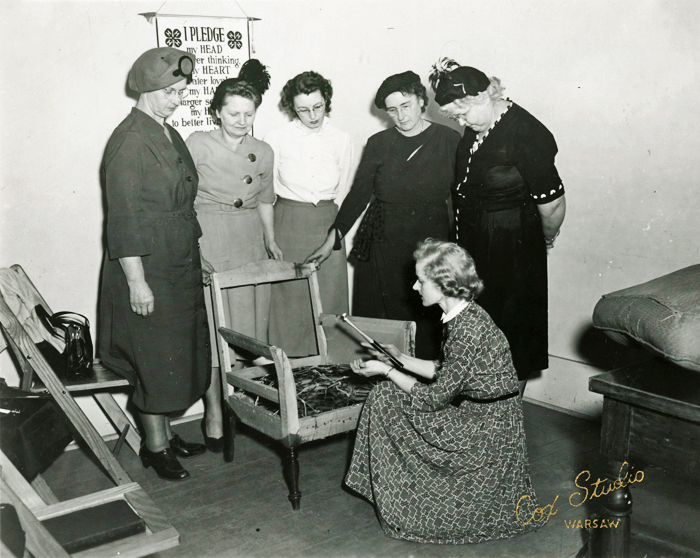 Among other things, she was responsible for implementing extension education programs in home economics, and organizing Extension Education Clubs in Raleigh County in southern West Virginia. In 1962 Leidenfrost joined the University of Maryland as a home economist for the Extension Service until 1969 and worked in two counties - Anne Arundel and Prince George’s. In 1967, she acquired a Master of Science in Home Economics from the University of Maryland. In 1969, Leidenfrost joined USDA’s Cooperative Extension Service as the National Program Leader of the newly formed Expanded Food and Nutrition Education Program (EFNEP). Working with land-grant universities across the country, she led the effort to extend the program, which uses local paraprofessionals to provide meal planning and nutrition education to low-income families. Leidenfrost developed national policy guidelines and training materials for the program in concert with representatives from the land-grant institutions. She also made efforts to expand the reach of the program beyond the 50 states, working with colleagues in United States territories and other countries. After 20 years leading EFNEP, Leidenfrost was asked to take on a new project in 1989. She became the National Program Leader for the new Hunger and Undernutrition Program, Extension Service, USDA, Washington, D.C., addressing issues of food security and poverty. During this time, she worked more closely with international colleagues, which led to her leadership of the International Year of the Family efforts at the Extension Service from 1992-1994. She also represented the International Federation for Home Economics at the 1995 United Nations Fourth World Conference on Women in Beijing, China. During this period, Leidenfrost authored or edited numerous publications related to her work with education, food security and poverty. These include Families in Transition (1992), Handbook for Teaching Families (1993), and Food Security in the United States: Guidebook for Public Issue Education (1994). Leidenfrost retired from USDA in 1994, but continued working on issues of food security and poverty with the American Association of Family & Consumer Sciences and International Federation for Home Economics. The bulk of this collection includes information on the first 20 years of the Expanded Food and Nutrition Education Program (EFNEP). EFNEP began as a pilot program in 1964 and was launched in several rural Alabama counties to develop new ways of reaching low-income homemakers to ensure that they had basic skills to assist with nutrition education and planning and providing budgeting. As part of President Lyndon B. Johnson’s “War on Poverty”, the staff of the pilot program trained paraprofessionals, who were generally homemakers themselves, as educators. A successful pilot program, combined with studies showing that nationwide levels of nutrition consumption was suffering, led to the launch of the nationwide EFNEP in late 1968. Funded through the same Smith-Lever Act that supports Extension Services, EFNEP is a partnership between USDA and Extension Programs at land-grant universities across the country. It uses the paraprofessional model to teach homemakers, first at the rural level and later in urban areas, to become home economics educators within their communities. A youth EFNEP program, implemented through 4-H, teaches children many of the same skills. The remainder of the collection includes information regarding Leidenfrost’s time as National Program Leader for the Hunger and Undernutrition area of the Extension Service now referred to as Hunger & Food Security. Much of Leidenfrost’s work during this period was dedicated to raising awareness of food security issues and their connection to poverty. The Nancy Boyd Leidenfrost Papers cover primarily the years of her employment with USDA from 1969-1995, although materials date from 1965-2003. The collection fills nine archival cartons and one oversized box. Included in this collection are publications written, edited or contributed to by Leidenfrost, materials relating to the creation of the Expanded Food and Nutrition Education Program (EFNEP), promotional materials for EFNEP, correspondence, and multimedia materials. Series I contains publications for which Leidenfrost contributed. Many relate to EFNEP, but there are also a number of publications Leidenfrost wrote and/or edited after she left the program. These later publications deal with poverty and food security issues. There are also copies of a newsletter Leidenfrost edited which dealt with international extension education. Series II provides administrative background on the founding of the EFNEP program, primarily in the form of project proposals and executive summaries. Broad outlines of the situations necessitating the creation of the program are given, as well as fiscal and outreach projections. Series III deals with promotional efforts for EFNEP, including training materials, brochures, and copies of speeches given by Leidenfrost. These items show the evolution of the program as it grew to include more participants from a wider range of society. Leidenfrost's speeches, written during and after her time at USDA, help to illustrate the relationship between the USDA administrators of the program and their state-level colleagues. Series IV is the largest series, and consists mostly of correspondence, both internal and external. Internal correspondence generally regards EFNEP, and includes a significant number of the weekly and/or monthly task reports that Leidenfrost submitted to her superiors, providing a diary of sorts about how much work went into running the program. The bulk of the correspondence with outside entities is with state extension leaders, although there are a number of exchanges with citizens about the program. There is also correspondence between Leidenfrost and members of Congress, mostly dating from the 1980s. Series V relates to the 20th anniversary celebrations for EFNEP that were held in 1988. These documents relate mainly to the logistics of the event held in Washington, D.C., including schedules, invitations, and drafts of speeches. There is some mention of the state-level events that were held around the same time. Series VI represents Leidenfrost's work with the United Nation's International Year of the Family program. Leidenfrost led the Extension Service's participation, which focused primarily on the impact of food security issues on families. The documents in this series deal with planning as well as implementing this participation. One of the major events Leidenfrost helped to plan was a teleconference on work-life balance, the videocassette of which is contained in Series VII. Series VII contains the non-paper materials from this collection, including photographs, slides, films, and audiocassettes. These items cover a range of dates from the 1960s to 1994 and relate to EFNEP as well as the Extension Service home demonstration programs that preceded it. The film canister in this series houses an undated film produced by the West Virginia state extension service. Many of the slides were visual aids used during the training of EFNEP paraprofessionals as well as their supervisors. The photographs shows below were given to Nancy Boyd Leidenfrost by Helen Strow and Beatrice Judkins, former USDA Extension Service employees, to donate to the National Agricultural Library in 2004. They are housed in the Early Extension Service Miscellaneous Materials Collection (Manuscript Collection 34). 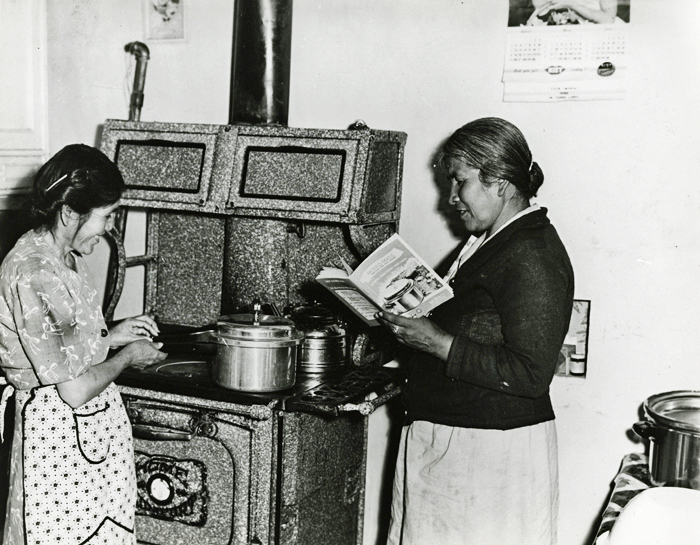 Figure 1: Photograph from USDA Federal Extension Service Home Demonstration Work draft pamphlet, 1959. Section detailing food selection, preparation, and preservation. "Canning has always been a part of the program. Women practice at home what they learn in meetings." From the Early Extension Service Miscellaneous Materials Collection (Manuscript Collection 34), Special Collections, National Agricultural Library. Figure 2: Specialist demonstrating spring tying to a few of the leaders during training school in Kosciusko County, Indiana, 1950. From the Early Extension Service Miscellaneous Materials Collection (Manuscript Collection 34), Special Collections, National Agricultural Library. Figure 3: Rural leaders trained to conduct United Nations flag meetings in Cumberland, County, Maine, 1950. From the Early Extension Service Miscellaneous Materials Collection (Manuscript Collection 34), Special Collections, National Agricultural Library. 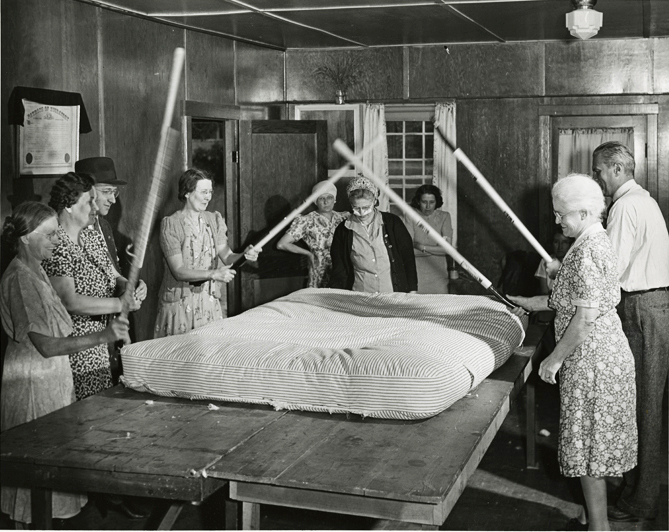 Figure 4: Process in cotton mattress making. Susquehanna County, Pennsylvania, 1941. USDA photograph taken by Harmon. From the Early Extension Service Miscellaneous Materials Collection (Manuscript Collection 34), Special Collections, National Agricultural Library. Series I. Publications. 1972-2003. 1/2 box. This series contains manuscripts and published books written, contributed to, and/or edited by Leidenfrost during this time period. Includes works related to the Expanded Food and Nutrition Education Program, as well as on the subjects of food security, poverty, and international family development. Publications are arranged in folders by title and in rough chronological order. Series II. Establishment of the Expanded Food and Nutrition Education Program (EFNEP). 1967-1970. 2 folders. This series contains memoranda and reports written to support the creation of the program. It includes communications within USDA, as well as with the White House. Many of the pages appear to be photocopies. Documents are in rough chronological order. Series III. Presentations, Training, and Promotional Materials Related to the Expanded Food and Nutrition Education Program (EFNEP). 1969-1994. 1 box. The series includes draft and final copies of works used to promote the program. Transcripts of speeches given by Leidenfrost during and after her time as head of the program are included. Also, there are materials used to train paraprofessionals and their program supervisors. A small number of promotional brochures about the program are included. Folders are arranged by year. Series IV. Correspondence Files Related to the Expanded Food and Nutrition Education Program (EFNEP) and Other Matters. 1968-1994. 6 boxes. This series encompasses the bulk of the collection. It includes copies of correspondence with state-level program leaders, private citizens interested in the program, members of Congress asking for program details, and internal USDA communications about the program. Also contains day-to-day interoffice correspondence about administrative matters, including travel and vacation requests. There are also the weekly and monthly reports that Leidenfrost completed for supervisors which detailed her work for that time period. Attachments to correspondence have been left as is, and may include original correspondence, reports, and publications. Much of the correspondence generated by Leidenfrost is on onion-skin paper, which may be fragile or difficult to read. Folders are arranged chronologically. Items of correspondence prior to April 1981 have been arranged by type, while later correspondence maintains original order. The bulk of the series spans 1982-1989. Series V. Twentieth Anniversary Celebrations for the Expanded Food and Nutrition Education Program (EFNEP). 1983-1989. 1/4 box. This series includes materials related to the celebration of the 20th anniversary of the program in 1988. It contains planning materials, invitations to dignitaries, memoranda, schedules, and copies of remarks made at the event. Series VI. 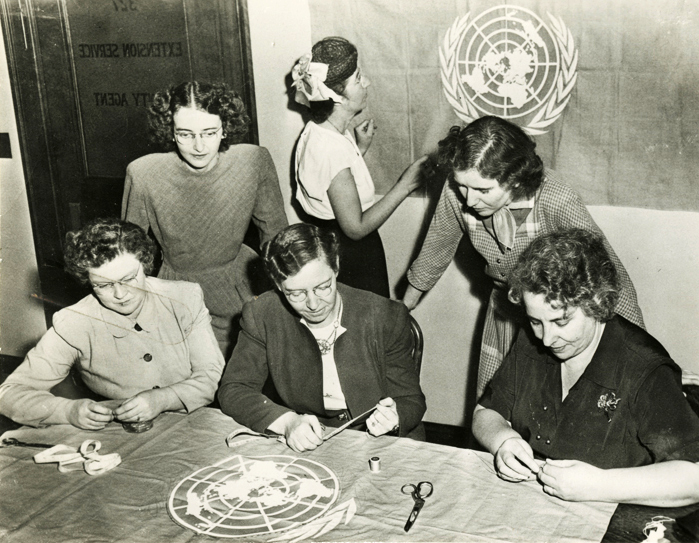 Participation in the United Nations International Year of the Family. 1991-1994. 1/4 box. This series highlights Leidenfrost's leadership of the participation by the USDA in the International Year of the Family (1994) program. It includes correspondence with United Nations officials, USDA colleagues, and planning materials for nationwide teleconference on work-life balance. Also includes reports on the impact of the International Year of the Family on the Cooperative Extension Service. Folders are in chronological order. Series VII. Multimedia Materials. 1960s-1994, no date. 2 boxes. This series includes most of the non-paper items in this collection. It contains slide negatives, audio cassettes, a film canister, and photographs. Subjects include the Expanded Food and Nutrition Education Program and other home economics topics. Note that some of the materials were given to Leidenfrost by Helen Stow and Beatrice Judkins to donate to the National Agricultural Library. Box 10 contains oversize photographs. “Autobiographical and Biographical Sketches,” Nancy Boyd Leidenfrost Papers. Special Collections, National Agricultural Library, Collection 246. Series I, Box 1, Folder 15. “Documentation of the Contributions of Nancy Boyd Leidenfrost to the Empowerment of Women Worldwide,” Nancy Boyd Leidenfrost Papers. Special Collections, National Agricultural Library, Collection 246. Box 1. “Establishment of EFNEP Program,” Nancy Boyd Leidenfrost Papers. Special Collections, National Agricultural Library, Collection 246. Series II, Box 1, Folders 1 & 2.